Forever 21 has a hot deal for Long Weekend! 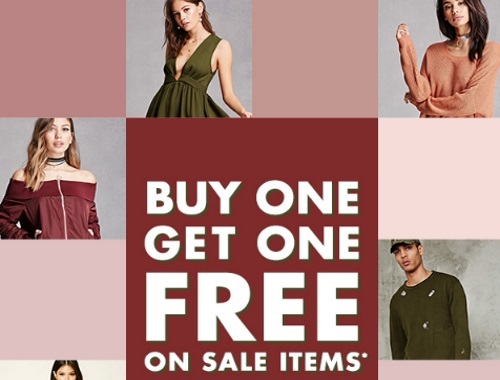 Get BOGO on sale items, when you buy 1 you can get 1 Free! Enter the promo code BOGOFREE at checkout to get the discount. Offer is available online only for a limited time.